R1976, Frank Chowning. 36", E. Current red self. Brilliant gold signal. Miss Arkansas x W. B. MacMillan. 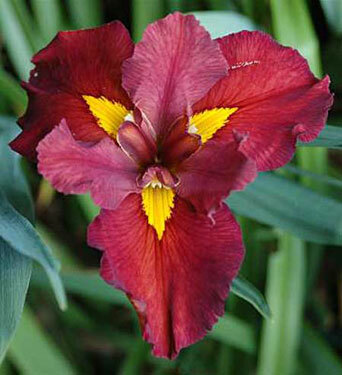 At one time considered the finest red Louisiana produced and the winner of the Mary Swords Debaillon Award, the highest given to a Louisiana iris. A beautiful iris.